New Mexico is the epitome of Southwestern living and our Albuquerque community features the best the State has to offer: clean air, sunny skies, and breathtaking vistas of nearby mountains. Our family-oriented community offers affordable living, convenient access to shopping and schools. 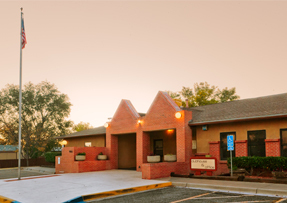 Vista Mobile Home Community is an all age family friendly community located in the wonderfully diverse city of Albuquerque, New Mexico. Our community features winding streets and large lots for your home. Rates are very affordable and we have great amenities, and warm friendly neighbors. You'll immediately feel a sense of "community" that you just can't find in apartments, and that no longer exists in most neighborhoods.